HAPPY THOUGHTS! 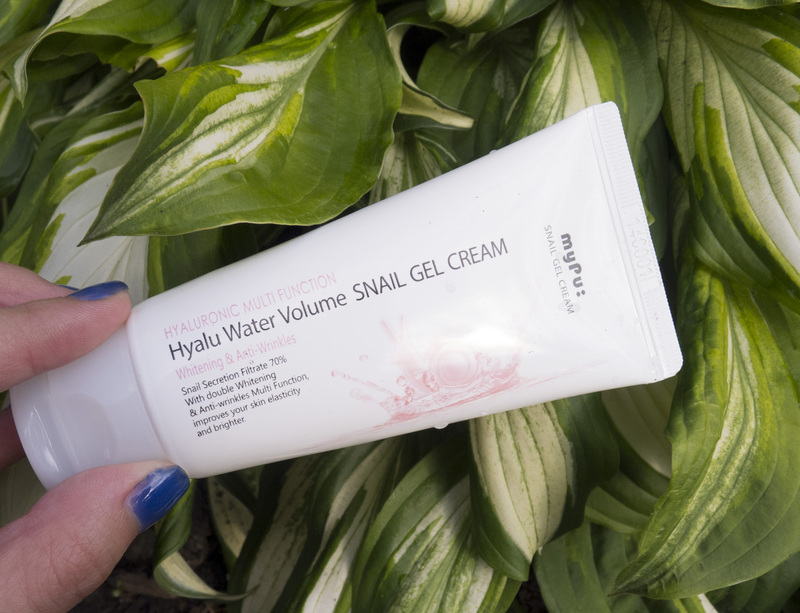 ❤ Today I’ll be reviewing myPu Hyalu Water Volume Snail Gel Cream as the title indicated. *** warning I’ll be heavily biased in this review to hate it solely because it’s a snail gel cream. So first thing that’d you notice is that it’s a snail cream which was all the rage in Korea a few months ago, and the trend has continued to even today. But I hate snails. I hate their weird eyes, I hate their weird snail secreted trails. But I occasionally enjoying nom-ing on them. Overall though, I hate their living selves. I find them so gross. So so gross. But I digress. It’s a multifunction cream with skin whitening + anti wrinkle properties. The whitening will help make your skin look brighter. It contains 70% snail secretion filtrate, and it’s made without alcohol so it’s definitely hydrating. On my skin it’s a thicker gel cream, as you’d expect with a gel made with snail secretions. It’s light purfumed, and it easily soaks into the skin. Overall I find this to be a decent moisturizer but I think my overall hatred of snails has killed this product for me. So I’ll be giving this a 5.5/10. But at $10 on ebay, it’s not a bad moisturizer. So if you don’t have a fear of snails and instead an interest of snails. I’d recommend you try it out! This product was given to me to review as a BNTgirl but has a 100% my thoughts in it ❤ Check out the other BNT Girls: Joanne, Kine, Carina, Bella.